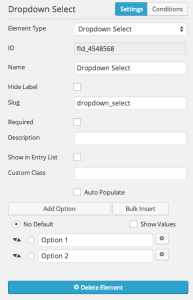 The dropdown select is for selecting a single option from a list. 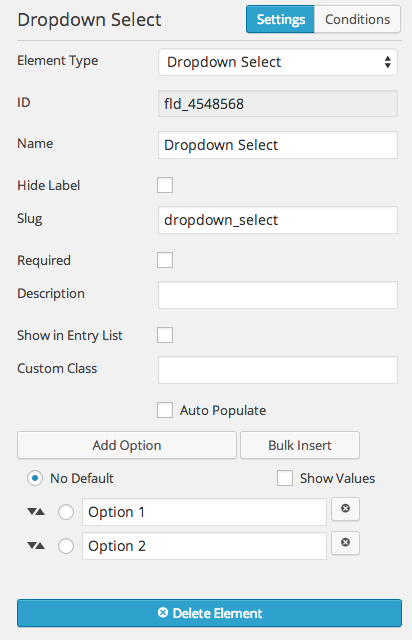 The configuration panel for the dropdown select field is much the same as all the Select Option types: Auto-Populate and Options. 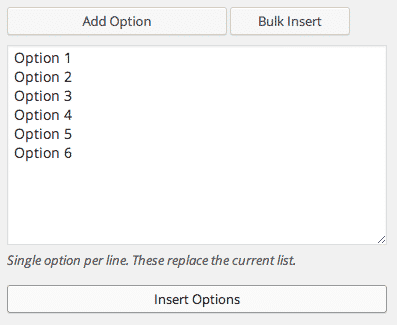 Select Option type fields have an option to auto-populate. These fields can be auto-populated from a data source. The auto-populate can be extended using the caldera_forms_render_get_field_type-checkbox filter. As of Caldera Forms 1.4.3, you can also use the result of an Easy Queries or Easy Pods query for auto-populating select fields. Options are added an option at a time, or using the bulk inserter. Bulk inserting opens a textarea. Each line is an option. Clicking insert options creates the list. When using bulk insert, you can insert value and label separated by the | character, not including the bracket. 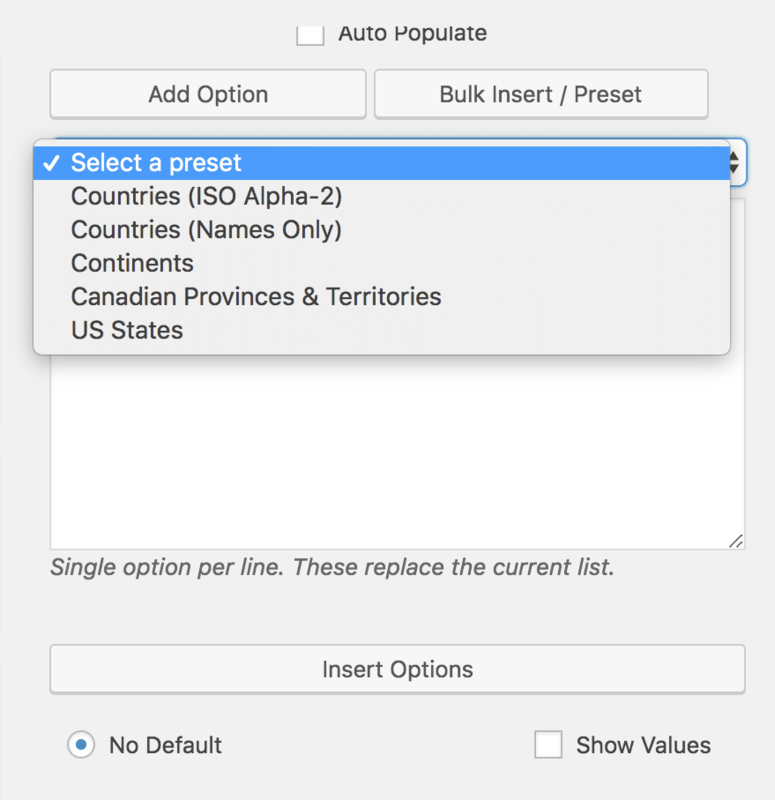 Caldera Forms comes with preset groups of common dropdowns: country, US state, Canadian province, and continent. 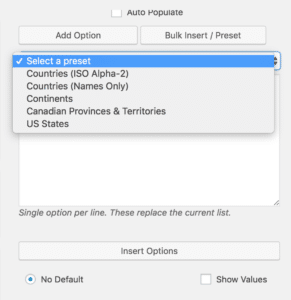 To use these presets, scroll all the way to the bottom, and select “Bulk Insert / Preset.” Above the bulk insert, you may select the desired preset.